Business owners know all too well the gratification of realizing carefully laid plans over the course of a few weeks, or even months. But a mission more than 24 years in the making, taking place in the unknowable recesses of outer space, is a different kind of accomplishment altogether. Today at 7:50 a.m. ET, NASA’s New Horizons spacecraft -- which took off for Pluto nine years ago from Cape Canaveral and has since travelled 3 billion miles -- flew past the dwarf planet and its five moons. Currently, New Horizons is in a data-gathering mode and out of contact with scientists, according to NASA. If all goes according to plan (“a collision with a particle as small as a grain of rice could incapacitate the spacecraft,” NASA said), it will send back a signal confirming that the flyby was successful at around 9 p.m. ET and begin sending back data in bulk tomorrow morning. It could be more than a year before all of the data is finally compiled, however, as the downlink speed is about two kilobytes per second and it takes more than four hours for a signal from New Horizons to reach the Earth. Nevertheless, NASA released its latest photograph of the planet this morning, which was taken on Monday before the flyby. 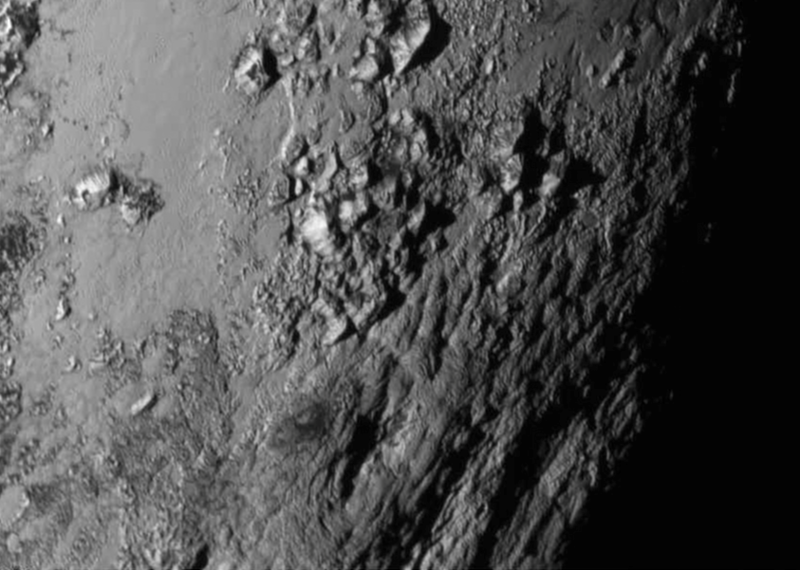 NASA also released Pluto’s previously unconfirmed diameter: 1,473 miles. After turning back to the earth temporarily to send back its data, New Horizons’ expedition is far from over. Next, it will travel towards the Kuiper belt, a region beyond the planets consisting of comets, asteroids and other remnants of our solar system’s formation.